Visitor guide to Melrose in Scottish Borders includes what to see and do; and details on walks around Melrose, info on Abbeys, castles and even legends of Melrose. Also included are hotels andAccommodation in Melrose. Nestled at the foot of the mystical Eildon Hills, by the banks of the Tweed, is little Melrose, the loveliest of all the Border towns. It's an engaging mix of cute little shops and cottages and dignified Georgian and Victorian houses, and boasts one of the most famous ruins in Scotland. The normally soporific atmosphere is shattered every April during the week-long Melrose Sevens, when the town is taken over by rugby fans from all over the world for the acclaimed seven-a-side rugby tournament which has been going since 1883. Melrose makes a great base for exploring the beautiful landscapes of the middle stretch of the Tweed which so inspired Sir Walter Scott, the famous son of the Borders. 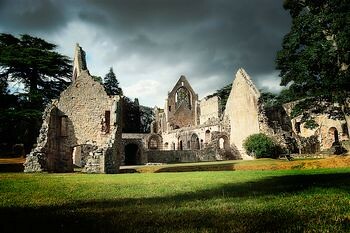 Two of the area's main sights, Dryburgh Abbey and Abbotsford House, are inextricably linked with the writer's life and work. They can be reached by public transport, but you'll need your own transport if you want to get off the beaten track. 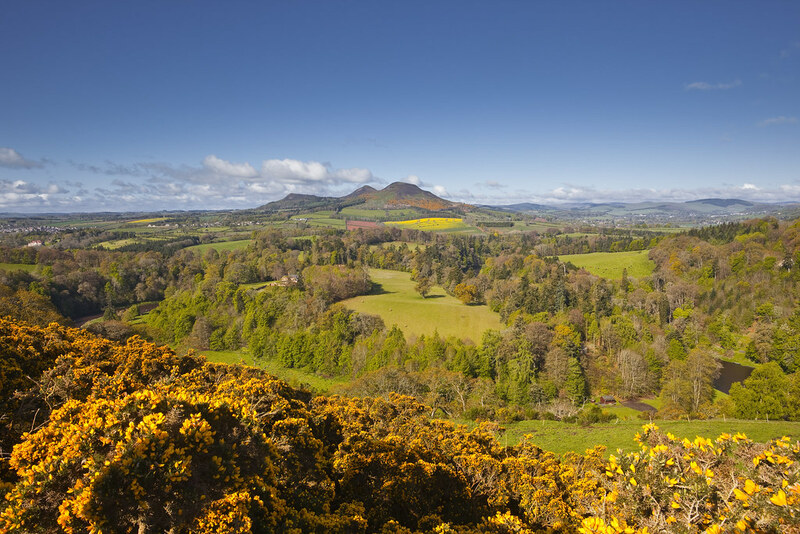 The three peaks of the Eildon Hills can be seen from all parts of the Central Borders region and can be climbed quite easily from Melrose. Starting from Market Square, head along the B6359 to Lilliesleaf, and after 100-yd the path is signed to the left and leads to the saddle between the North and Mid hills (Mid Hill is the highest, at 1,385 ft). The path leads to the summit of North Hill, then Mid Hill, and finally West Hill, to the south. There are several routes back to town, but heading via the golf course makes a nice circular walk of two miles. Allow about 1€ hours. 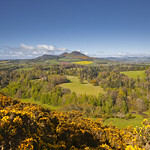 The route is detailed in the Eildon Hills Walk leaflet available from the tourist office. Melrose is the starting point for the St Cuthbert's Way, a 60-mile walk which finishes at Lindisfarne (the Holy Isle). The much longer Southern Upland Way also passes through the town. The three-peaked Eildon Hills were considered a sacred place by the ancient Celts and have long been shrouded in mystery and associated with a number of legends. For a start they are believed to have been created by the wizard/alchemist Michael Scott and it was here that the mystic Thomas the Rhymer was given the gift of prophecy by the Faerie Queen. Most startling of all though is the claim that King Arthur and his knights lie asleep beneath the hills, victims of a terrible spell. There are regular buses to Galashiels (15 mins), Kelso (several daily; 35 mins), Jedburgh (30 mins), Peebles (several daily; 1 hr 10 mins), and Selkirk (hourly Mon-Sat, less frequently on Sun; 40 mins). To get to Hawick, it's easier to catch a bus to Galashiels and then change. Buses to Melrose stop in Market Square, close to the abbey and tourist office. 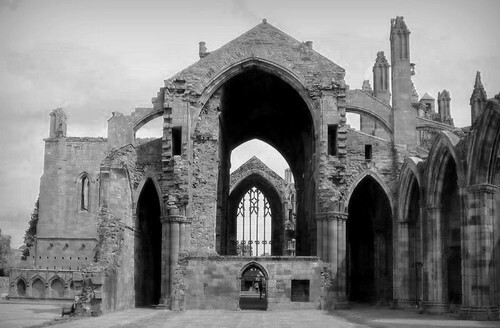 The Tourist Information Centre is next to the abbey ruins in Abbey St, Tel 822555. Apr-May Mon-Sat 1100-1600, Sun 1000-1300; Jun Mon-Sat 1000-1730, Sun 1000-1300; Jul and Aug Mon-Sat 0900-1830, Sun 1000-1700; Sep Mon-Sat 1000-1730, Sun 1000-1300; Oct Mon-Sat 1000-1600, Sun 1000-1300. Hours may vary. Those who wish to explore the area by bike can hire cycles in Galashiels, at Gala Cycles, Tel 757587, at 58 High St.
On Market Square is the Trimontium Exhibition, a small but interesting centre which tells the story of the Roman occupation of the area and includes some archaeological finds. Info: Apr-Oct daily 1030-1630, Sat, Sun closed 1300-1400. £1.50, £1 concession. Tel 822651. 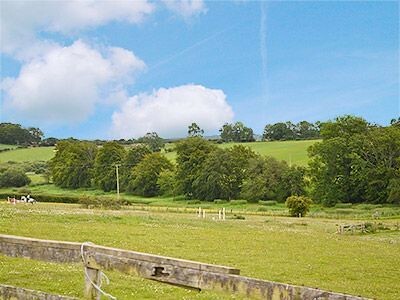 The more adventurous can follow the Trimontium Walk, a four-mile guided tour of Roman sites in the area, including the site of the Trimontium (Three Hills) Fort at Newstead. Info: Apr-Oct Thu 1330-1700. Tel 822651. Winner of the Scottish Borders Eating Out Awards’ ‘Best Newcomer 2008’ and ‘Best Informal Lunch 2008’ accolades, Marmions is one of the Scottish Borders’ favourite places to eat, drink and relax – open for lunch, dinner or simply for coffee. There's not a huge amount of Accommodation in Melrose, considering its appeal, so it's best to book in advance during the summer and especially during the Melrose Sevens in mid-Apr. The best hotel is Burts Hotel, on Market Sq, Tel 822285, Burts Hotel. This refurbished traditional 18th-century inn is very comfortable, and renowned locally for its excellent modern Scottish cuisine (lunch mid-range; dinner expensive). Also on the square is the small, comfortable Millars Hotel, Tel 822645. Pick of the B&Bs and guesthouses is the excellent Dunfermline House Guest House, on Buccleuch St, Tel 822148, The Dunmel. Best of the rest are Braidwood , also on Buccleuch St, Tel 822488; Little Fordel, Tel 822206, on Abbey St; and Collingwood, on Waverley Rd, Tel 822670, open Apr-Oct, on the outskirts of town. No smoking. There's a very good and very popular Youth Hostel, in a large mansion on the edge of town, overlooking the abbey from beside the A6091 bypass, Tel 822521, open all year. 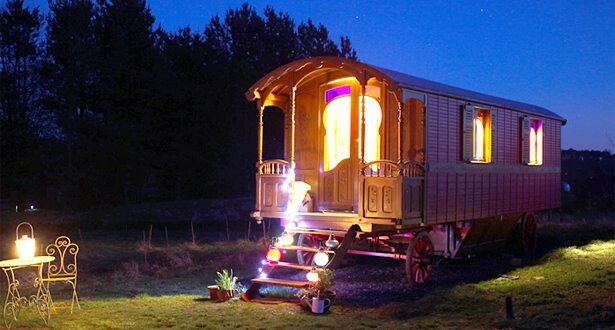 There's also a campsite at Gibson Park, Tel 822969, at the end of the High St opposite the Greenyards rugby ground.